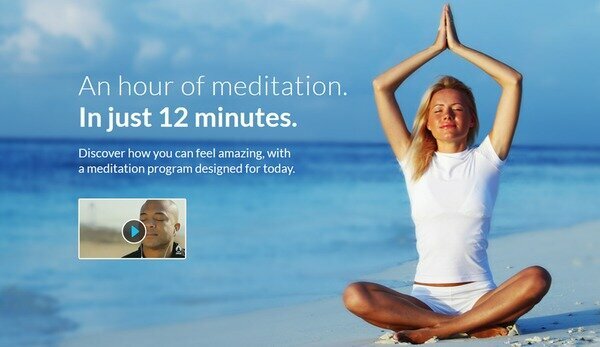 Today, I want to introduce you to an audio meditation program, called Zen12, that can give you the benefits of an hour of meditation in just 12 minutes. For those who already know me, they know that I love meditation and I fully believe that meditation can really makes a big difference in our busy life. I personally meditate every single day, meditation is now part of my life and I can’t see myself not meditating. But why? Simply because meditation makes me feel good, balanced and it has helped me a lot. I am fully aware that to start meditating on our own is not a simple task. It takes a lot of determination, willingness and reaching the states that bring powerful benefits can takes time with the conclusion that a lot of people start meditating and after a little while they give up. A lot of people also claim they don’t have the time to meditate. They say they have a busy life schedule and it would be impossible for them to find the time to meditate. “I would like to learn to meditate but”….. whatever reasons. That’s why I would like to recommend Zen12, a simple audio meditation program, which I have tried myself, where each meditation session lasts for just 12 minutes. How does this audio meditation program work? Zen12 is an audio meditation program that basically uses special “brainwave” sounds that helps you get into a deep state of meditation – effortlessly. By listening, you get the immediate benefit of enhanced relaxation, and the dissolution of stress, anxiety and worry. Over time, the greater benefits become clear: sharper brain power, improved focus, decreased insomnia, enhanced creativity, dozens of huge health benefits, and more and all because of a simple MP3! What do you get in the Zen12 programme? The Zen12 program is divided in 12 levels, for a total of 48 MP3s, to cover beginner, intermediate and advanced levels of practice. After each month, or whenever you feel ready, you can shift to the next level. All you need to do is choose a time of the day where you sit back, relax and let the ‘brainwave’ sounds do the hard work for you. At the end of the day is all about creating a new good habit in our life. How do you start with Zen12? Getting started with Zen12 is Simple. Zen 12 offers also a Full Guarantee: A 1 year, no questions asked, 100% money back guarantee if you’re not completely satisfied with your purchase. As a Start you can also claim your FREE brainwave audio, so you don’t have anything to lose but only to gain!